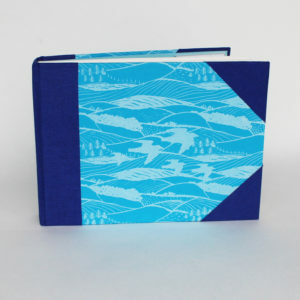 3 double bands of ribbon support the signatures held together with stitching in dark blue. This book lays flat on a table when open. 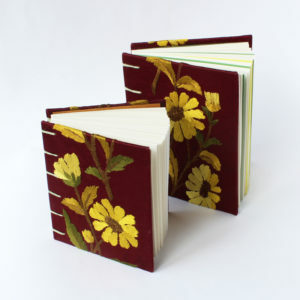 A matching slipcase completes this book. 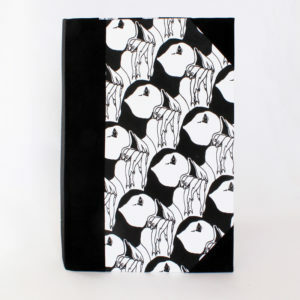 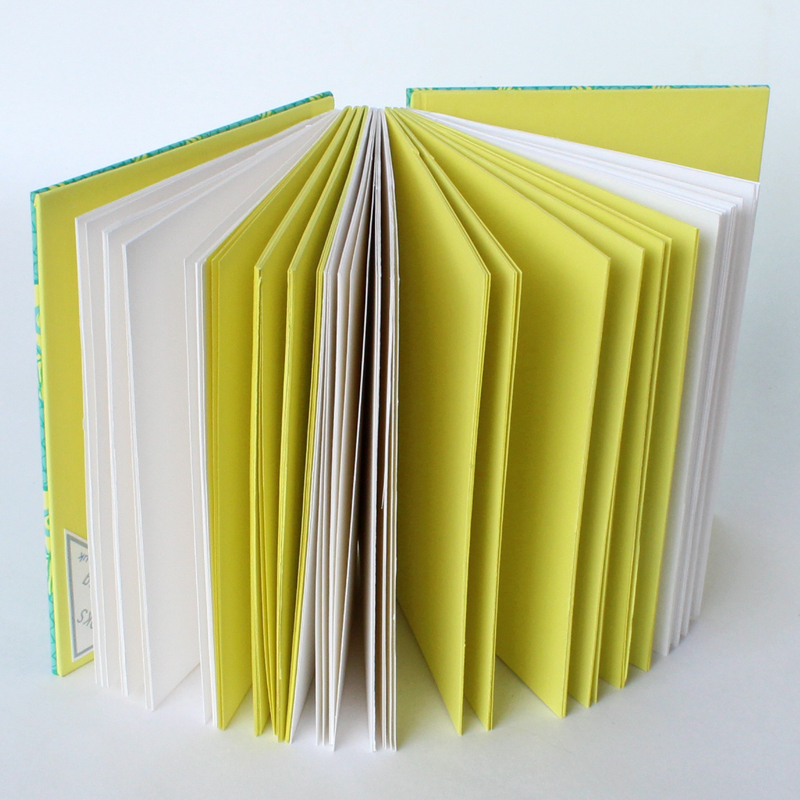 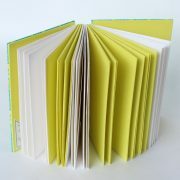 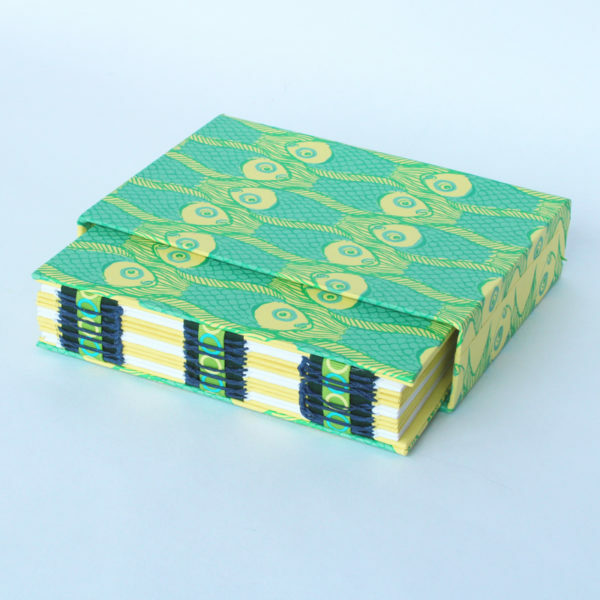 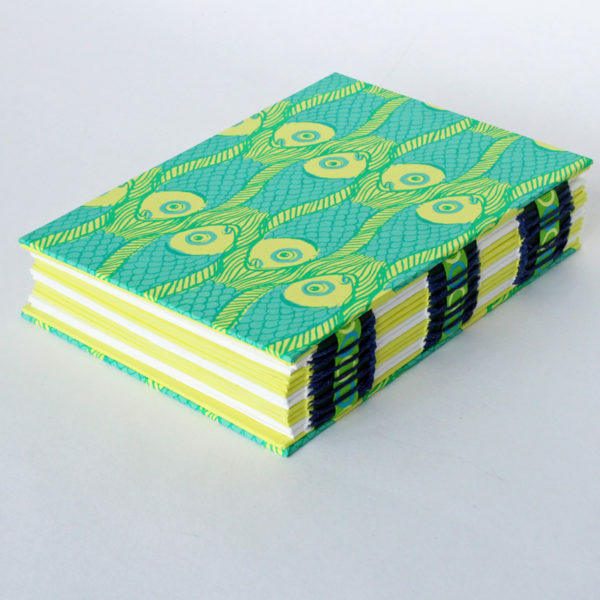 This flexible binding creates a book that is both delicate and functional. 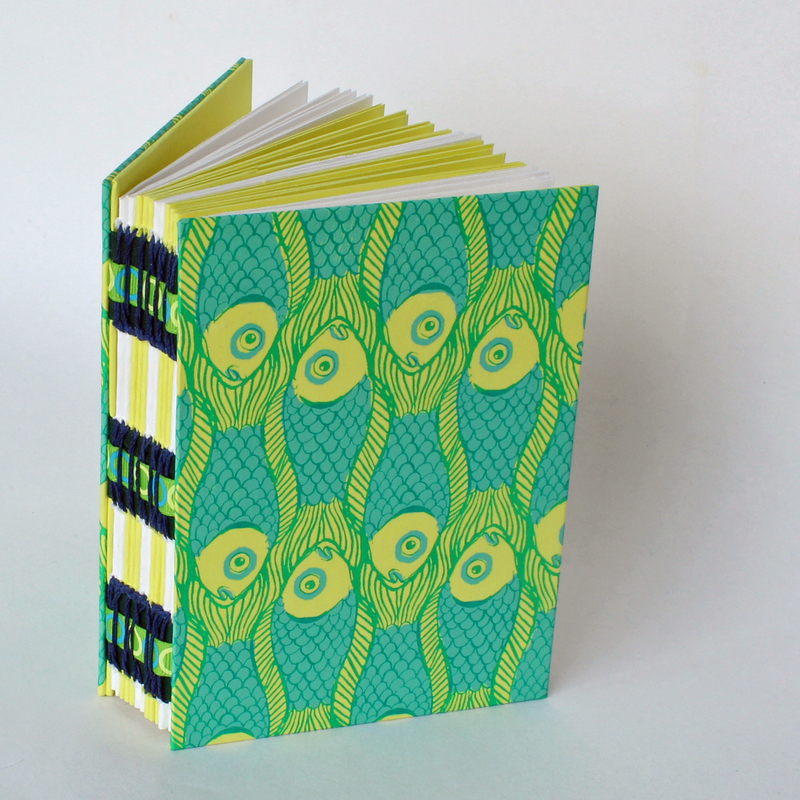 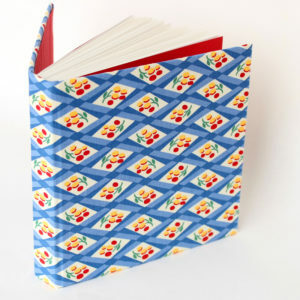 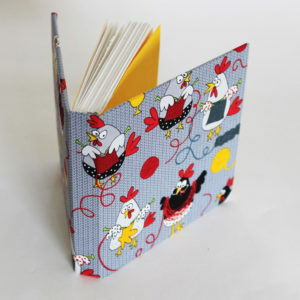 Including the ribbons creates another option for exciting stitching- the fun part when making a book.